ENVIROTECH PEST CONTROL Is pleased to announce our Group Discount Program, best in the Pest Control Industry! 3 or more places to Qualify. Applies to our Popular, Cottage Care Program, Home Care Program (Cluster Flies) and our Summer Service Program. Required Services must be booked the same day and in a similar locations. Discounts work on the Amount of Properties Serviced. The More places the BIGGER the Discount. 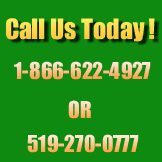 EnviroTech Pest Control Services Referral Program is the best in the Pest Control Industry. Receive a 10% discount with a maximum total of up to 15 % off your Pest Control Program. EnviroTech Pest Control Services has grown into a leader in the Pest Control Industry and Strongly Depends on word of mouth. The referral program is our way of giving back. 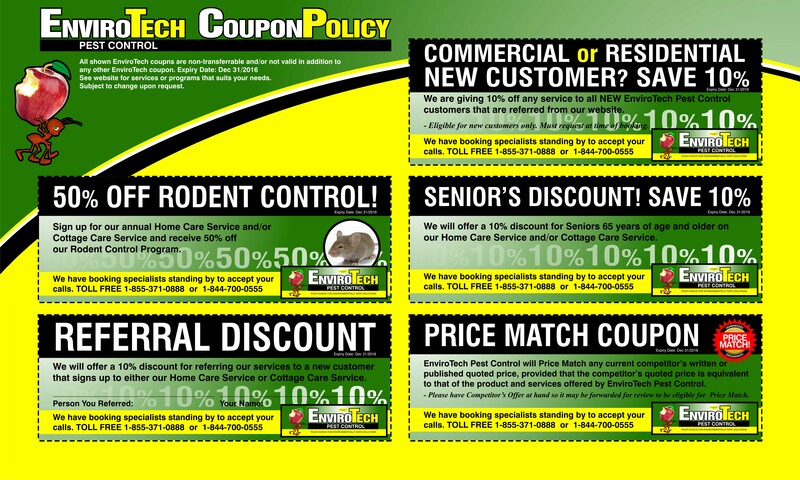 ENVIROTECH PEST CONTROL realizes their have been some tough economic times and getting through them has been a Challenge for some of us, so we have added a Seniors Discount. Simply mention you are a senior and receive 10% off. ENVIROTECH PEST CONTROL also has a payment plan of two instalments if required. 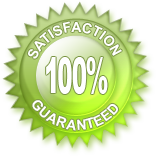 ENVIROTECH PEST CONTROL Leads the way in Customer Satisfaction! To us it is simple, if you are not happy in any way, simply call us we will come back for free until you are happy. KEEPING OUR CUSTOMERS HAPPY IS OUR BUSINESS!